While scrolling the feed, someone from Cherry Mobile posted the alleged new timeline cover of Cherry Mobile Facebook page. 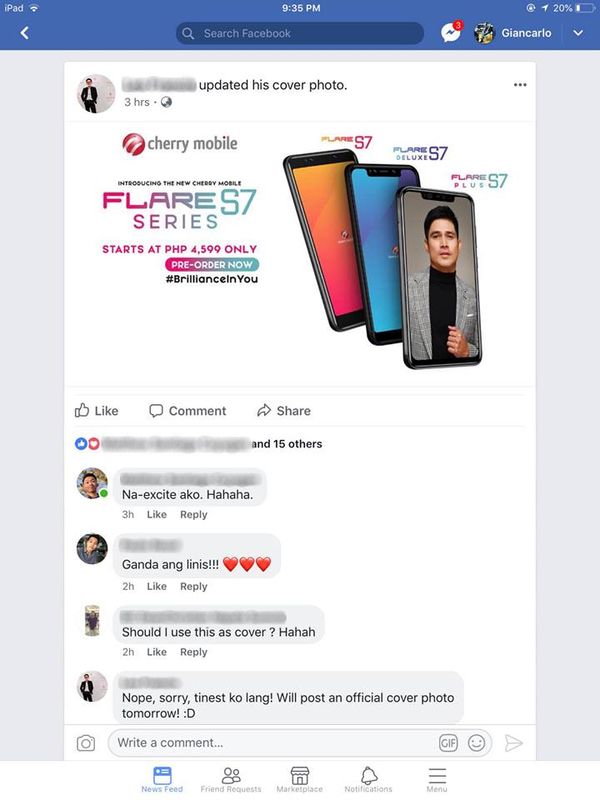 We noticed something glaring though, which prematurely revealed the price of the upcoming base model of Flare series, Cherry Mobile Flare S7! Yup! You read it right – the most affordable/base model of Flare series costs PhP4,599 only. Flare S7 has 5.5″ HD+ Trueview 18:9 Display, LTE Ready, 13mp + 2mp Quad Cameras, Face Unlock ID Security, Fingerprint scanner and powered by Android Type-C.
Pre-order starts today, October 1, so we are expecting Cherry Mobile to post their new timeline cover anytime within the day. If ever you’re getting one, do note of the freebies that come along with every purchase of a Flare S7 smartphone. 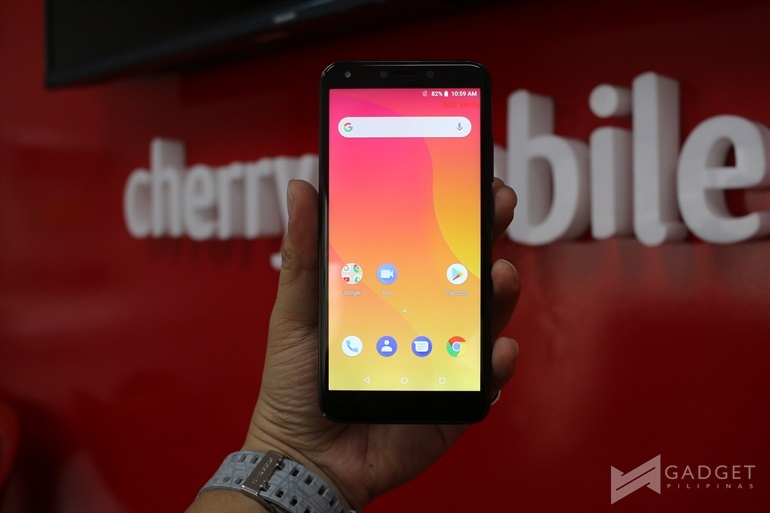 As of this writing, Cherry Mobile hasn’t officially announced the retail price of all smartphones. While the price quoted on the image above is perceived to be the base price, we are still putting everything with a grain of salt. If you are considering to get one, be sure to check out latest contents about Cherry Mobile Flare S7 Plus. We brought the smartphone during our trip to Japan, and if you wish to see some of the photos we took, be sure to check this link. And, what’s our initial take with the Flare S7 Plus? Read our first impressions on this link. *UPDATE as of 9:30AM: Cherry Mobile already posted the leaked timeline cover. What I really like about this device; it has a huge load of battery and its superb camera!